I grew up in the maritime Pacific Northwest, on a farm north of Seattle where we kept a hen flock, had a small orchard and tended dairy cows. My uncles were loggers, merchant seamen, or fishermen. After college, where I studied Anthropology, literature and East Asian culture, I had no choice but to go back to working in the woods and at sea. In the late fifties I worked in the engine room on an American-flag oil tanker that hired me out of the port of Yokohama. I was a member of the National Maritime Union, had my seaman’s papers, and it wasn’t hard to pick up a job in almost any port of the world. That ship kept me at sea for a continuous nine months. Two things touched me deeply on that job: one was the stars, night after night, at every latitude, including way below the equator. With my little star book and red-beam flashlight I mastered the constellations of the southern hemisphere. The other was getting to know the birds of the ocean. I loved watching the albatross – a few of those huge graceful birds would always be cruising along behind our ship, trailing the wake for bits of food. I learned that a Wandering Albatross (of the southern hemisphere) might fly a million miles in one lifetime, and that it takes a pair of them almost a year to raise one chick. Night and day, they always followed us, and if they ever slept it seems it was on the wing. Out on the South Pacific in 1958, watching the soaring albatrosses from the stern of a ship, I could never have guessed that their lives would be threatened by industrial societies, turning them into “collateral damage” of the affluent appetite for ahi and maguro tuna species (my own taste too). Yet this is just a tiny, almost insignificant, example of the long reach of the globalized economy and the consumer society into the wild earth’s remote places. A recent book on global logging and deforestation is titled Strangely Like War. What is happening now to nature worldwide, plant life and wildlife, ocean, grassland, forest, savannah, desert – all spaces and habitats – the non-human realm of watersheds and ecosystems with all their members, can be likened to a war against nature. Although human beings have interacted with nature – both cultivated and wild, for millennia, and sometimes destructively so, it was never quite like “war.” It has now become disconcertingly so, and the active defense of nature has been joined by a few artists and writers who have entered the fight on “the wild side” along with subsistence peoples, indigenous spiritual leaders, many courageous scientists, and conservationists and environmentalists worldwide. There is a tame, and also a wild, side to the human mind. The tame side, like a farmer’s field, has been disciplined and cultivated to produce a desired yield. It is useful, but limited. The wild side is larger, deeper, more complex, and though it cannot be fully known, it can be explored. The explorers of the wild mind are often writers and artists. The “poetic imagination” of which William Blake so eloquently spoke, is the territory of wild mind. It has landscapes and creatures within it that will surprise us, it can refresh us and scare us; it reflects the larger truth of our ancient selves, both animal and spiritual. The French anthropologist Claude Levi-Strauss once said something like, “Art survives within modern civilization rather like little islands of wilderness saved to show us where we came from.” Someone else once said that what makes writing good is the wildness in it. The wildness gives heart, courage, love, spirit, danger, compassion, skill, fierceness and sweetness – all at once – to language. From ancient times storytellers, poets, and dramatists have presented the world in all its fullness: plants, animals, men and women, changing shape – speaking multiple languages – inter-marrying – traveling to the sky and under the earth. The great myths and folktales of human magic and nature’s power were our school for ten thousand years. Whether they know it or not, even modern writers draw strength from the wild side. HOW CAN ARTISTS AND WRITERS manage to join in the defense of the planet and wild nature? Writers and artists by their very work “bear witness.” They don’t wield financial, governmental, or military power. However, at the outset they were given, as in fairy tales, two “magic gifts”: One is the “Mirror of Truth.” Whatever they hold this mirror up to is shown in its actual form, and the truth must come out. May we use that mirror well! The second is a “Heart of Compassion,” which is to say the ability to feel and know the pains and delights of other people, and to weave that feeling into their art. For some this compassion can extend to all creatures and to the world itself. In a way, nature even borrows the voices of some writers and artists. Anciently this was a shamanistic role where the singer, dancer, or storyteller embodied a force, appearing as a bear dancer or a crane dancer, and became one with a spirit or creature. Today, such a role is played by the writer who finds herself a spokesperson for non-human entities communicating to the human realm through dance or song. This could be called “speaking on behalf of nature” in the old way. Song, story, and dance are fundamental to all later “civilized” literature. In archaic times these were unified in dramatic performance, back when drama and religious ceremony were still one. They are reunited today in the highest and greatest of performance arts – the grand scale of European opera, the height of ballet, the spare and disciplined elegance of Japanese Nô theater, the grand and almost timeless dance-and-story of Indonesian Gamelan, the wit and hardiness of Bertolt Brecht’s plays, or the fierce and stunningly beautiful intensity of Korean P’ansori performance. Performance is of key importance because this phenomenal world and all life is of itself, “not a book, but a performance.” I will say more about performance a little further on. FOR A WRITER OR ARTIST to become an advocate for nature, he or she must first stumble into some connection to that vast world of energies and ecologies. Because I was brought up in a remote rural district, instead of having kids to play with I had to entertain myself by exploring the forest surrounding our farm, observing the dozens of bird species and occasional deer, fox, or bobcat; sometimes hunting, sometimes gathering plants that I could sell to herb-buyers for a few pennies, and camping out alone for several days at a time. Heavy logging was going on in the nearby hills. Even as a boy I was deeply troubled by the destruction of the forests and the careless way that hunting – both of waterfowl and deer – was conducted. At fifteen I got into the higher mountains of the Cascade range in Washington State, starting with the ridges and high meadows around the snow-covered volcano called Mt. St. Helens, or Luwit, a 3000-meter peak just north of the Columbia River. Here is what I discovered back then, and finally chose to write about in my recent book Danger on Peaks. Reaching the summit, I thought – West Coast snowpeaks are too much! They are too far above the surrounding lands, there is a break between, they are in a different world. If you want to get a view of the world you live in, climb a little rocky mountain with a neat small peak. The big snowpeaks pierce the realm of clouds and cranes, rest in the zone of five-colored banners and writhing crackling dragons in veils of ragged mist and frost-crystals, of pure transparency in blue. Mt. St. Helens’ summit is smooth and broad, a place to nap, to sit and write, watch what’s higher in the sky, or do a little dance. Whatever the numbers say, snowpeaks are always far higher than the highest airplanes ever get. I made my petition to the perfect shapely mountain, “Please help this life.” When I tried to look over and down to the world below, there was nothing there. And then we grouped up to descend. The afternoon snow was perfect for glissade, and leaning on our stocks we slid and skid between cracks and thumps into soft snow, dodged lava slabs, got into the open snowfield slopes and almost flew to the soft pumice slopes below. Coming down is so fast – still high we walked the three-mile dirt road back to the lake. The day I first climbed Mt. St. Helens was August 13, 1945. THE STATEMENT in that 1945 newspaper saying that nature would be blighted for decades to come outraged me almost as much as the destruction of innocent human life. I was already a youthful conservationist/environmentalist, and after that I went on to be active in the anti-war movement as a student, and struggled against the use and proliferation of nuclear weapons. At the time it seemed as though these efforts were naive and hopeless, but we persevered. During my university years I was studying the philosophies and religions of the world. I learned that the most important single ethical teaching of the Buddhist tradition is non-violence toward all of nature, Ahimsa. This seemed absolutely right to me. In the Abrahamic religions, “Thou shalt not kill” applies only to human beings. In Socialist thought as well, human beings are all-important, and with the “labor theory of value” it is as though organic nature contributes nothing of worth. Later it came to me that “green plants doing photosynthesis are the ultimate working class.” Nature creates the first level of value, labor the second. Then I read translations of Buddhist texts from India and China. The Dao De Jing and the Zhuang-zi texts helped broaden my view. I read the Lun yü – the Confucian “Analects” – and saw how the Master called for Etiquette in regard to nature, as well as human society (7.27). These studies brought me to the thought that almost all of later “high civilization” has been a type of social organization that alienates humans from their own biological and spiritual heritage. While I was laboring in the forests most of my fellow loggers were Native Americans of the Wasco and Wishram tribes of Eastern Oregon. From them I learned that it was possible to be a hunter and a fisherman with a deep spiritual attitude of gratitude and non-violence. I lived in Japan for ten years, partly in the monastery but also in my own little house, and supported myself by teaching English conversation to Japanese company people. I asked my adult students, “Why are you so intent on learning English?” They answered, “Because we intend to extend our economic influence worldwide, and English is the international language.” I didn’t take them seriously. Today that company, Matsushita Electric, is worldwide. This innocently celebratory poem went straight to the question of conflict between the ethics of Ahimsa, non-violence, “respect for all beings,” and the necessary lives of indigenous peoples and Native Americans I had known. They still practice ceremonies of gratitude, and they never present themselves as superior to other life forms. Ahimsa taken too literally leaves out the life of the world, and makes the rabbit virtuous but the hawk somehow evil. We must see the organic world as a great feast, a puja, to which we are the invited guests, and also, sooner or later, part of the meal. We can be grateful for that. We can enter into the process, but with gratitude and care, not an arrogant assumption of human privilege. This cannot come from “thinking about” nature, it comes from a being within nature. There are plenty of people of influence and authority in the churches, in industry, the universities, and high in government who still like to describe nature as “red in tooth and claw” (a line of Alfred Tennyson’s) – a fundamental misunderstanding – and use it as part of the justification for the war against nature. I WOULD now like to propose some simple definitions: The English word “nature” is from Latin natura, “birth, constitution, character, course of things” – ultimately from nasci, to be born. It connects with the root nat which is connected with birth, so we have nation, natal, and na­tive. The Chinese word for nature is zi-ran, (in Korean jayeon), meaning “self-thus.” Although in common English and American usage “nature” is sometimes used to mean “the outdoors” and set in opposition to the realm of development, the word nature is best used in its specific scientific sense, referring to the physical universe and its rules, the “laws of nature.” In this use it is equivalent to the Greek physis. In other words, nature means “everything.” The agricultural, the urban, the wild mountains and forests, and the many stars in the sky are all equally phenomena. “Nature” is our reality. Cities and agricultural lands however are not “wild.” Wild is a valuable word. It is a term for the free and independent process of nature. A wilderness is a place where wild process dominates and human impact is minimal. Wilderness need not be a place that was never touched by humans, but simply a place where wild process has ruled for some decades. The wild is self-creating, self-maintaining, self-propagating, self-reliant, self-actualizing, and it has no “self.” It is perhaps the same as what East Asian philosophers call the Dao. The human mind, imagination, and even natural human language, can also thus be called wild. The human body itself with its circulation, respiration, and digestion is wild. In these senses wild is a word for the intrinsic, non-theistic, forever-changing natural order. The field of ecological study embraces questions of population rise and fall, plant and animal succession, predator-prey relationships, competition and cooperation, feeding levels, and the flow of energy through ecosystems – and this is just the beginning. I have learned a great deal in my work on the forest issues of western North America over the last few years from people in the field of “forest ecology” (sometimes with the help of my older son Kai Snyder, who is in this field). I have come to better understand the dynamism of natural systems, the continuous role of disturbance and the unremitting effects of climactic fluctuations. The “human ecology” aspect of the ecological sciences helps us understand the role that human beings have played as members of wild nature, and how the interconnectedness of the entire planet requires that we take care of this place that we live in, and which lives in us. It tells us what “sustainable” means, and that modern humans must again become members of the organic world. The organic life of the planet has maintained itself, constantly changing, and has gone through and recovered from several enormous catastrophic events over hundreds of millions of years. Now we are realizing that the human impact on air, water, wildlife, soil, and plantlife is so extreme that there are species becoming extinct, water dangerous even to touch, mountains with mudslides but no trees, and soil that won’t grow food without the continuous subsidy provided by petroleum. As we learned over time to positively work for peace to head off the possibilities of war, so now we must work for sustainable biological practices and a faith that includes wild nature if we are to reverse the prospect of continually dwindling resources and rising human populations. One can ask what it might take to have an agriculture that does not degrade the soils, a fishery that does not deplete the ocean, a forestry that keeps watersheds and ecosystems intact, population policies that respect human sexuality and personality while holding numbers down, and energy policies that do not set off fierce little wars. These are the key questions. Many of our leaders assume that the track we’re on will go forever and nobody will learn much; politics as usual. It’s the same old engineering, business, and bureaucracy message with its lank rhetoric of data and management. Or, when the talk turns to “sustainability” the focus is on a limited ecological-engineering model that might guarantee a specific resource for a while longer (like grass, water, or trees) but lacks the vision to imagine the health of the whole planet. The ethical position that would accord intrinsic value to non-human nature, and would see human beings as involved in moral as well as practical choices in regard to the natural world, makes all the difference. The albatross, all sixteen species of them, are companions with us on earth, sailing on their own way, of no use to us humans, and we should be no use to them. They can be friends at a distance, fellow creatures in the stream of evolution. This is fundamental etiquette. Legislation from the governments regarding fisheries in the sea or deforestation in the mountains would help enormously. So, back to those key questions, what would it take? We know that Science and the Arts can be allies. We need far more women in politics. We need a religious view that embraces nature and does not fear science; business leaders who know and accept ecological and spiritual limits, political leaders who have spent time working in schools, factories, or farms and who still write poems. We need intellectual and academic leaders who have studied both history and ecology, and like to dance and cook. We need poets and novelists who pay no attention to literary critics. But what we ultimately need most is human beings who love the world. I went on to tell her that I felt that non-human nature is basically well inclined toward humanity and only wishes modern people were more reciprocal, not so bloody. The animals are drawn to us, they see us as good musicians, and they think we have cute ears. The human contribution to the planetary ecology might be our entertaining eccentricity, our skills as musicians and performers, our awe-inspiring dignity as ritualists and solemn ceremonialists – because that is what seems to delight the watching wild world. The being who is willing to give away her enlightenment is called a Bodhisattva. In some of the Polynesian societies the Big Person, the most respected and powerful figure in the village, was the one who had nothing – whatever gift came to him or her was promptly given away again. This is the real heart of a Gift Economy, the economy that would save, not devour, the world. (Gandhi once said, “For greed, all of nature is insufficient.”) Art takes nothing from the world, it is a gift and an exchange. It leaves the world nourished. Poems, novels, plays, with their great deep minds of story, awaken the Heart of Compassion. And so they confound the economic markets, rattle the empires, and open us up to the actually existing human and non-human world. Performance is art in motion; in the moment; both enactment and embodiment. This is exactly what nature herself is. 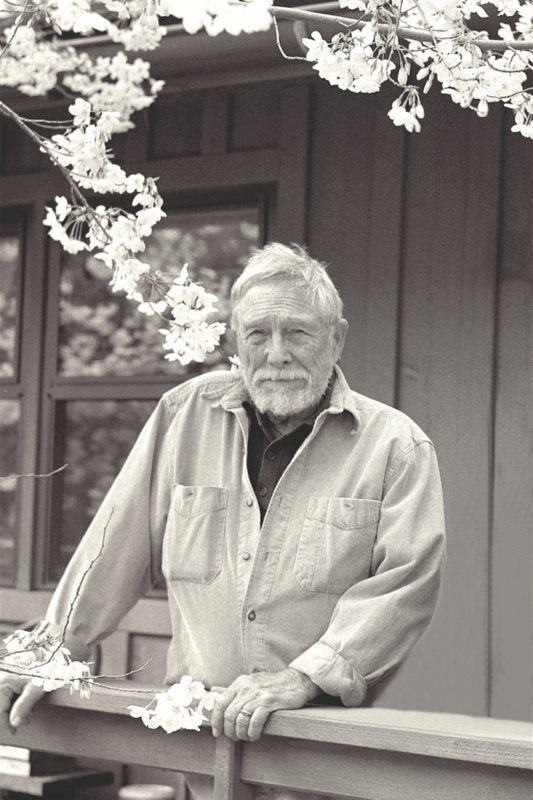 This essay was presented by poet Gary Snyder, one of the world’s preeminent environmental writers, at Daesan Foundation’s International Literary Festival conference “Writers Working for Peace,” held May 22-28, 2005 in Seoul, South Korea. 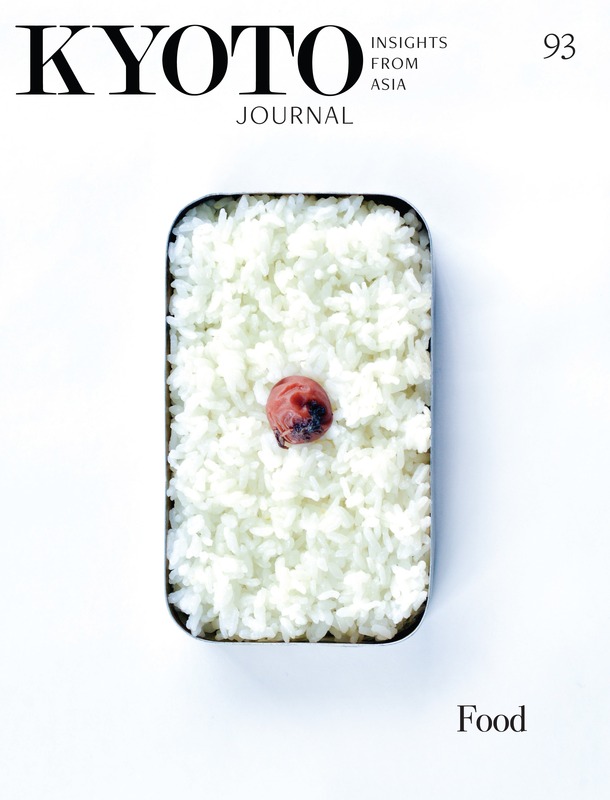 His prose book A Place in Space was recently translated by Lee Sang-wha, wife of Korean poet Ko Un (featured in KJ#60). The Korean title translates into “Earth, a Village in the Universe” (published by Changbi). Gary’s latest book of poetry, Danger on Peaks, is reviewed on p. 83.